When motorcyclists hit a fixed object such as a door, the resulting injuries are often severe. Traumatic brain injuries, spinal cord injuries, broken bones, facial disfigurement, and road rash are common. The vast majority of these car door / motorcycle collisions are preventable. Though the law is often on the side of motorcyclists, it can be an uphill battle to prove liability beyond any doubt, amid so many “he said, she said” stories. You need an experienced Louisiana motorcycle accident attorney like Bart Bernard fighting in your corner. Who's at fault for open door motorcycle accidents? The Louisiana vehicle code is clear about liability in open door accidents. Typically, the driver or passenger is responsible for checking the traffic prior to opening the vehicle door. The defendant may offer a variety of mitigating arguments for reduced negligence. “I opened my door and left plenty of distance for the motorcyclist to see me getting out of the car,” is one defense. Other defenses may center on ascribing some type of negligence to the motorcyclist — speeding, intoxication, distracted driving, illegally driving on the shoulder, following too closely, sudden lane changes, or recklessly attempting to pass. It is up to your motorcycle accident attorney to refute these claims and illuminate who is really at fault. Failure to notice – Most commonly, the driver or passenger of a vehicle fail to look right, left, and behind before opening the door. A person might glance quickly in the mirror and hastily pop the door ajar. Or the individual may look, but then become distracted, and fail to exit in a timely manner. Making a right-hand turn – A motorcyclist may follow closely and suddenly veer around a stopped or stopping vehicle to pass and make a right-hand turn. Illegal stopping – Hasty drivers may park or stop illegally in an active traffic lane, causing a dangerous situation. The driver may fail to inspect the ongoing traffic before opening the door or may not see a motorcyclist who needs to pass to keep the flow of traffic moving around the obstacle. Road defects – In rare cases, the local government of the state or city may be held liable for failing to remove debris in the road or correct a pothole that directly resulted in a loss of control or limited maneuverability for a motorcyclist. Environmental factors – Visibility can be an issue if it is dark, foggy, rainy, snowy, sunny, or windy. A motorcyclist navigating around a slick spot in the road or blinded by the glare of sunlight might miss a car door opening. Motorists can also miss an oncoming motorcyclist due to weather conditions that limit visibility. Motor vehicle operators and their passengers should stop only in designated parking spots or lots that are safe for exiting. Individuals should gather all of their personal belongings, check all essential cell phone messages, and curb all conversations prior to checking the traffic and opening the door. Whenever possible arrange an exit toward the sidewalk, rather than the street. Motorcyclists can take care to avoid heavily trafficked city roads lined with bustling businesses and parking meters. They should also avoid residential cut-throughs that allow street parking. When a car door is ajar, it is prudent to slow down to give the motorist a chance to close the door or exit the vehicle. 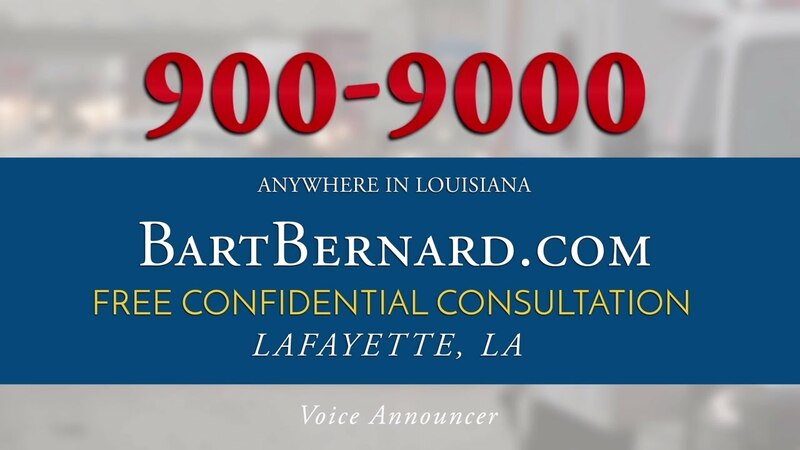 Call from anywhere in Louisiana to connect with Bart Bernard Injury Lawyers. Injured motorcyclists and their families have up to a year from the time of the accident to file a legal claim, so it’s best to call for a free case review as soon as possible. Bart Bernard will not stop fighting to recover the compensation you deserve!